Slangs are also called as NETSPEAK or CHATSPEAK. And that’s where internet slangs comes into the picture. They are short, sweet, and cool. Let’s dig deeper and learn a thing or two about the history of internet slangs. Well, all I can say is that our previous generations were much cooler than we think. 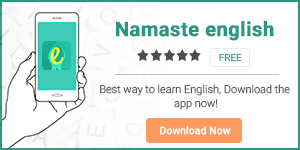 To learn more about the English language, download our app HinKhoj and Namaste English.